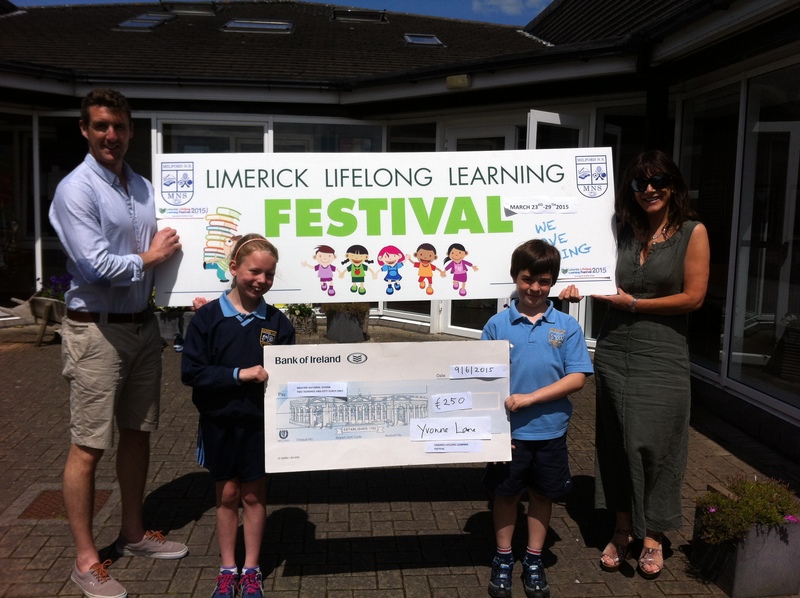 We are delighted to receive a cheque for €250 after winning a prize in the Limerick Lifelong Learning Festival this year. Ella and Frederic were on hand to receive the cheque along with Mr. Gallagher and Ms. O’Mahony. Well done to all children and staff who worked together to achieve the prize.